Norman “Bear” Pross passed away peacefully, surrounded by his loved ones, on Tuesday, July 20 at Hospice of Lansing, Stoneleigh Residence. He was 60. Bear, as he was known to all, was born Aug. 14, 1950 in Bay City to Alfred and Syble (Jones) Pross. He grew up on his family’s farm in Standish, where he attended a one-room school-house until fifth grade. He graduated from Standish-Sterling High School in 1969 and from Central Michigan University, with a Bachelor of Arts degree in education and a certificate in special education. He moved to Lansing in 1974, where he lived for the remainder of his life. Bear was known as a fierce champion of gay rights, as well as people living with disabilities, working toward the passing of the Americans with Disabilities Act. He worked in physical therapy both at Eaton Intermediate School District and at St. Lawrence Hospital. He was an advocate for people with disabilities, including people with HIV, with Michigan Protection and Advocacy Services. In his most recent job, as a consultant to the Michigan Department of Community Health HIV/AIDS Prevention and Intervention Section, he was a trainer on HIV-related issues. His intelligence, compassion, and unwavering sense of justice made him a respected colleague, mentor and leader in his field. In addition to his professional achievements, Bear had many other interests. 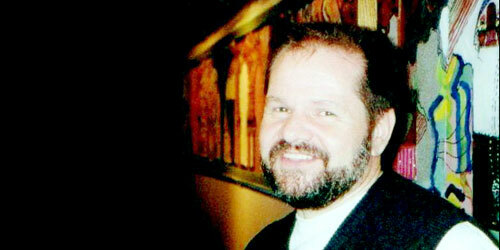 He studied at Lansing Community College and became a volunteer interpreter of American Sign Language. He was a masterful baker and cake decorator, a skilled calligrapher, a collector of antiques, a world traveler, a lover of cats and an avid Scrabble player. He had a quick and mischievous wit, and never passed up a good double entendre. Bear leaves his longtime companion of 32 years, David McSkulin; his sisters, Sandra Kolevar and her husband David of Saginaw, and Joanne Pross and her husband Ken Jameson of Alaska; his loving nephews and nieces; Scott and Shelly Kolevar and their children, Scotty and Brooke; Jason and Nicole Kolevar and their children, Justin and Madison; Jennifer Kolevar (Jim Edler); and Annalise Jameson. Bear will be deeply missed by his chosen family – dear friends Marilyn and Bernard Brown and their daughters, Courtney and Ashley; and Ellen Ives and Colleen Johnson and their sons, Aidan and Sam. Honoring his wishes, cremation has taken place. A memorial service and celebration of Bear’s life will be held at 2 p.m. Aug. 14 at Edgewood United Church, 469 N. Hagadorn in East Lansing, with a reception to follow. The service will be ASL interpreted. Arrangements are by the Estes-Leadley Greater Lansing Chapel. In lieu of flowers, the family requests memorial donations to: Hospice of Lansing for the Stoneleigh Residence http://www.hospiceoflansing.org, Equality Michigan http://www.equalitymi.org, or the Capital Area Humane Society http://www.cahs-lansing.org.